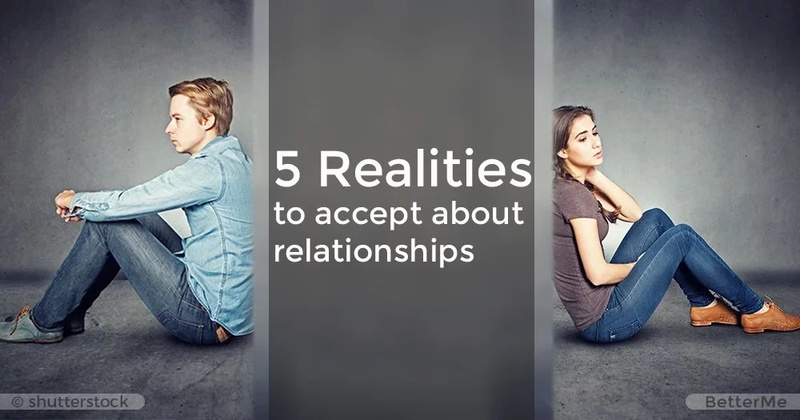 From a single perspective, it might look like relationships are always perfect, enjoyable, and full of nothing but love, but the truth is that on the inside, things can be a lot more complicated. Everything that’s worth having takes a lot of work, including healthy relationships. Once you pass the honeymoon stage, things can start to feel different. Being prepared for the shift in dynamics will stop you from panicking about the state of your union. In the beginning stages of your relationship, there won’t be much to fight about because you and your partner will be too busy basking in the joy of your newfound love. As time passes and you grow closer and become bigger parts of each other's’ lives, you may start to feel tensions rise. Fighting is a normal part of any relationship. You cannot hold all of your feelings inside and sometimes, fighting helps to find common ground or simply agree to disagree. The important thing to do is to be ready for fights and not to panic. Make sure that even while you’re fighting, you choose your words carefully, and put your love first. During the inevitable fights you will experience in your relationship, you will probably find yourself trying to uncover who is to blame. One of the most difficult realities that you need to accept is that you will need to step forward and apologize sometimes. Even if you don’t feel that you’re in the wrong, saying you’re sorry is a much better choice to make than holding a grudge and stubbornly declaring that you’re right. Figure out what you need to apologize for, and do it in a genuine way that your partner will feel. The faster you move past the fight, the faster you’ll be back to building your love. Little things build up over time and if you leave them to fester without handling them, you will find yourself dealing with a big batch of resentment. Even when we try our best to cherish our lovers, we hurt them and vice versa. You and your partner will both hold on to being hurt in different ways, but if you hold on for too long or with anger, resentment will grow and it will affect the quality of your relationship. Allowing resentment to hold a spot in your dynamic is the quickest way to damage your union. Instead, practice letting go of the small things so that they don’t build up into a resentment that can’t be overcome. Nothing comes without trying and working for it, even relationships. The carefree feelings that you experience in the very beginning of your relationship eventually fade, and the reality of daily routine sets in. If you’re not careful, this can lead to many challenges in your relationship. You may experience difficulty connecting or seeing eye to eye. Keep your head on straight. Obstacles are not a reason to give up, but rather to commit yourself further to your partner and work harder on keeping your love alive. If both of you are determined to sustain you love, it will happen. Deal with it. Sometimes you are the one causing the issue. Don’t walk around thinking that any disagreement or fight between you stems from something they did. Be honest with yourself and willing to step up when you’re in the wrong. You need to build your self-awareness so that you’ll be able recognize when you’re walking down the wrong path. It takes a lot of bravery to admit that you’re wrong, but that’s what is needed to maintain a healthy and balanced relationship. Love is amazing and fulfilling, but only when you keep things in perspective and do the work that needs to be done!